Acting on behalf of private Management clients, BA Commercial have recently sold 14 High Street, Saltney, Chester, CH4 8SE. 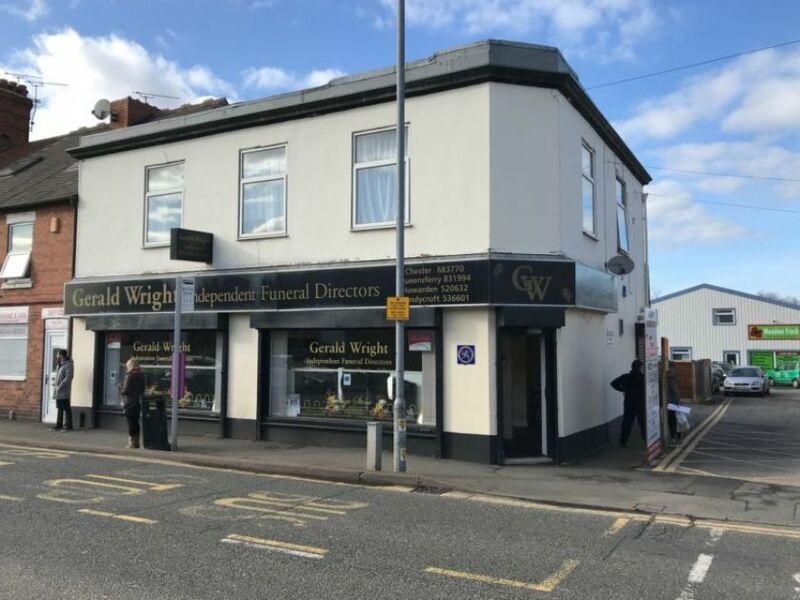 The property comprised an end-terraced building comprising a long-established Funeral Directors at ground floor level, extending to 121.6 sq m (1310 sq ft) together with a large first floor two bed vacant flat and has been sold at an asking price of £199,000. The ground floor let on the balance of a 10 year lease from 2013 at a current rental of £9,150 pax. The property has been purchased by an established Chester based investor, who will refurbish and re-let the flat. Justin Rice-Jones, who handled the sale, commented “this is a prominent building on the main arterial road into Chester, and we are pleased we have been able to conclude a sale on behalf of the client who had owned the building for a number of years. This shows continuing interest in mixed use investments in the Chester area, which will, following a letting of the flat, produce an attractive return to the purchaser.